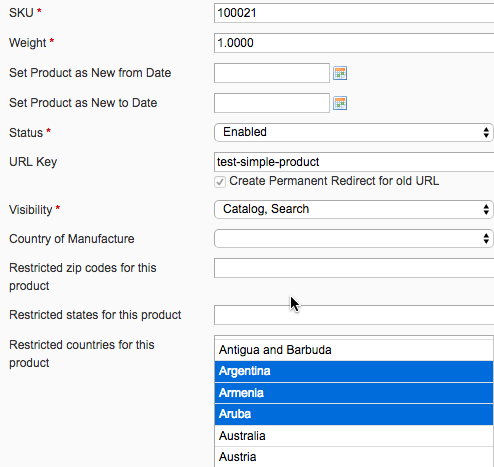 Set shipping restrictions for each product based on zip codes, states and countries where products can’t be delivered. 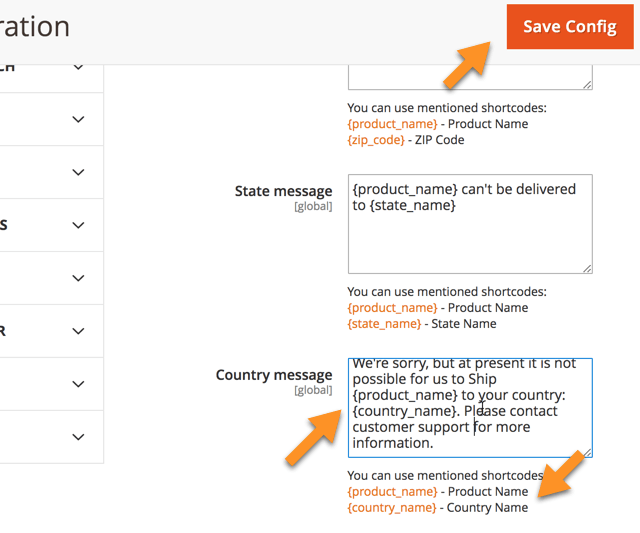 Looking for a way to add customized shipping restrictions and limit shipping methods in your Magento store? 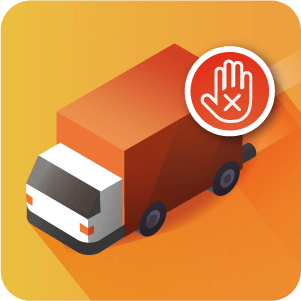 With the shipping restrictions module you can create a list of all banned shipping zip codes, shipping states and shipping countries where products cannot be delivered. 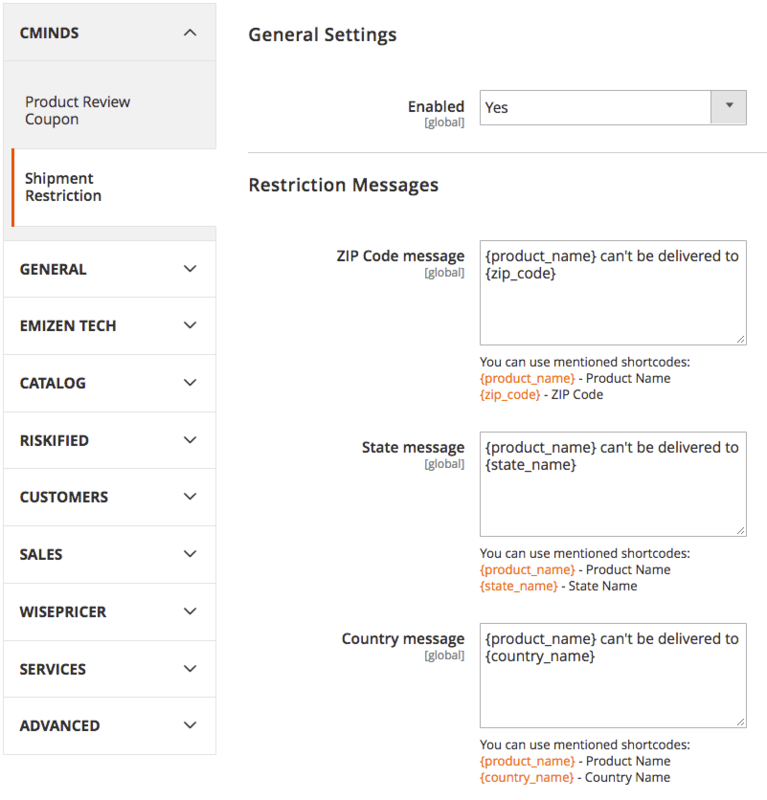 Admin can create specific shipping restrictions for each individual product in their Magento® online store. These specific shipping restrictions will be shown to buyers before checkout. 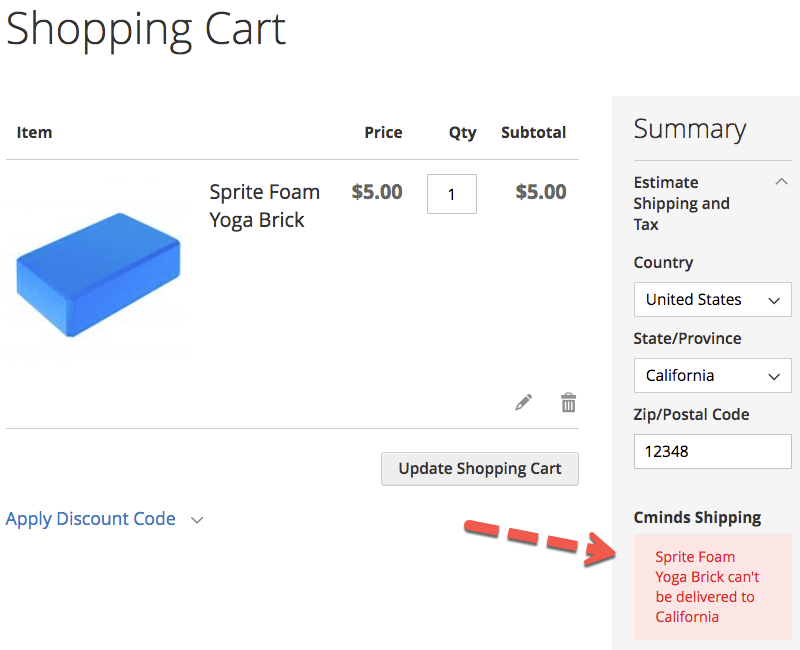 When a user tries to add a shipping address which has restrictions set for one of the products in their cart, they will receive a notification both in the shopping cart itself and in the checkout saying the product has a shipping restriction. Yes. The extension is compatible with all third party shipping methods. 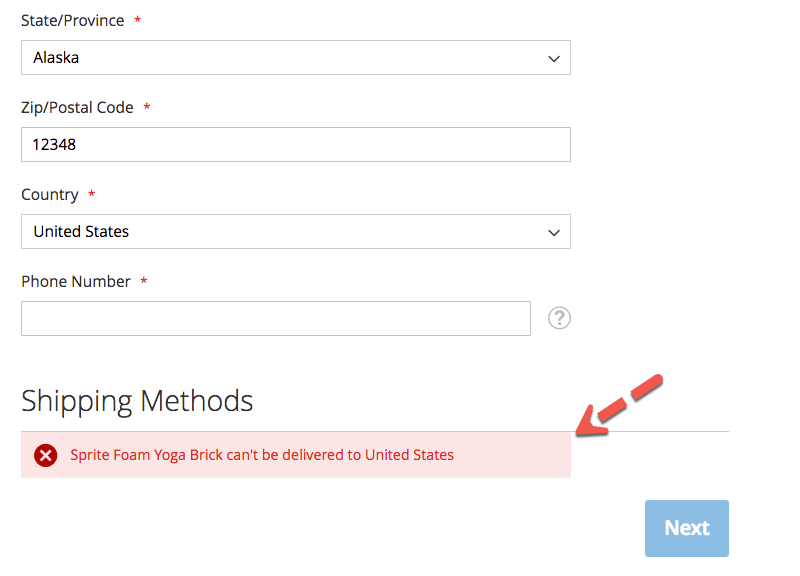 This is a manual method for restricting shipping to certain locations chosen by the Admin of the site. It works based on the delivery location they choose before they reach shipping methods options during checkout. 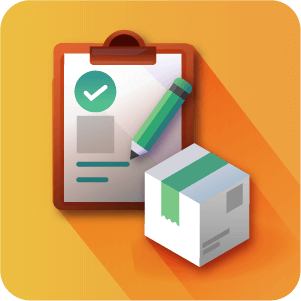 Can I select different shipping methods based on a products sku? Not with the Shipping Restrictions Extension. 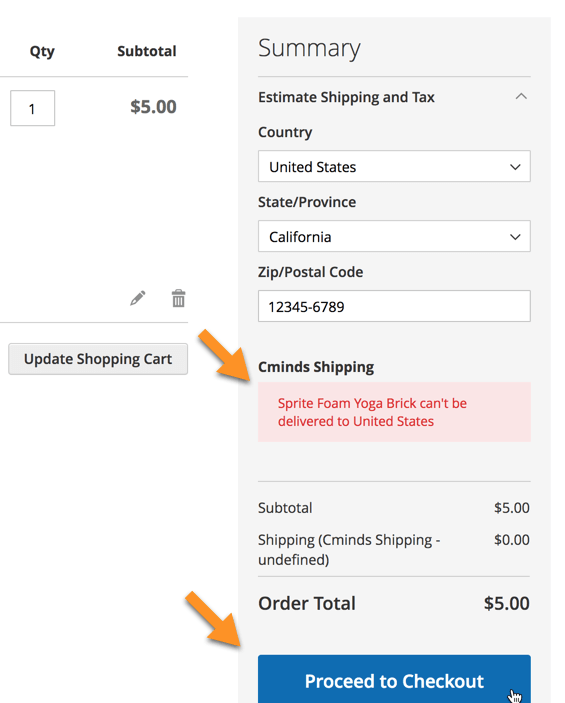 The extension work to either allow or disallow the checkout process from completing based on shipping location choice. It doesn’t affect shipping methods. 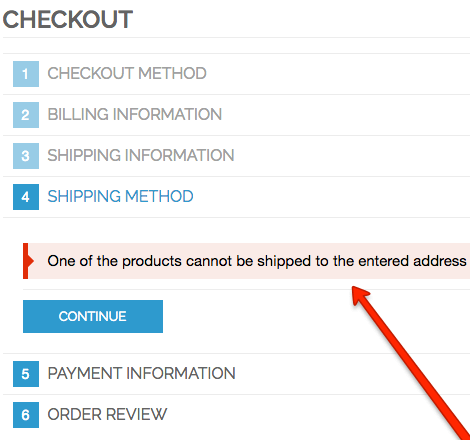 Currently we do not provide a way for the customer to view shipping restrictions. They need to try a different address. Will this work as "shopping cart rules" but for shipping? No. The shipping restrictions extension works independently of ‘shopping cart rules’. They can both work together but they are not the same thing. Yes. 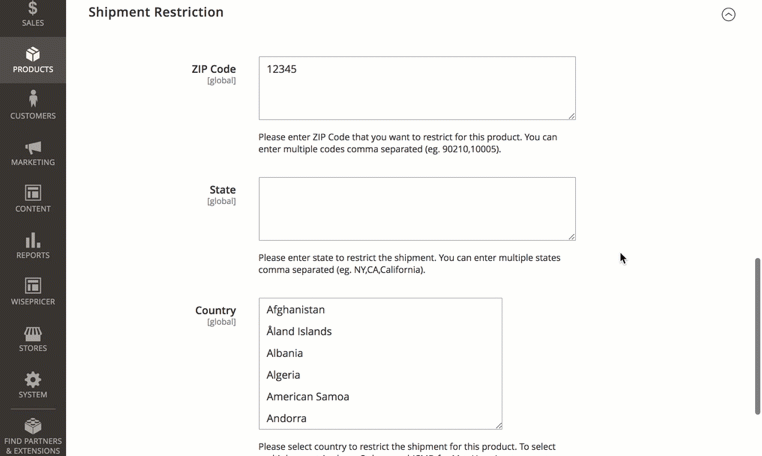 The Extension can restrict shipping based on country, state or zip code. Can I personalize the message that customers see when they enter a delivery location that is restricted? Yes. The Extension settings allow for the customization of the warning message for restricted locations. 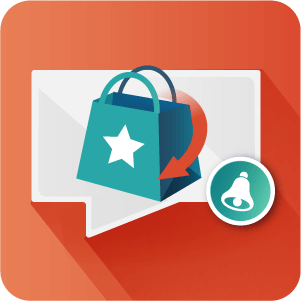 The message can also contain some shortcodes that will make the message more closely related to the product. Can restrictions be placed on multiple products at once or only one at a time? 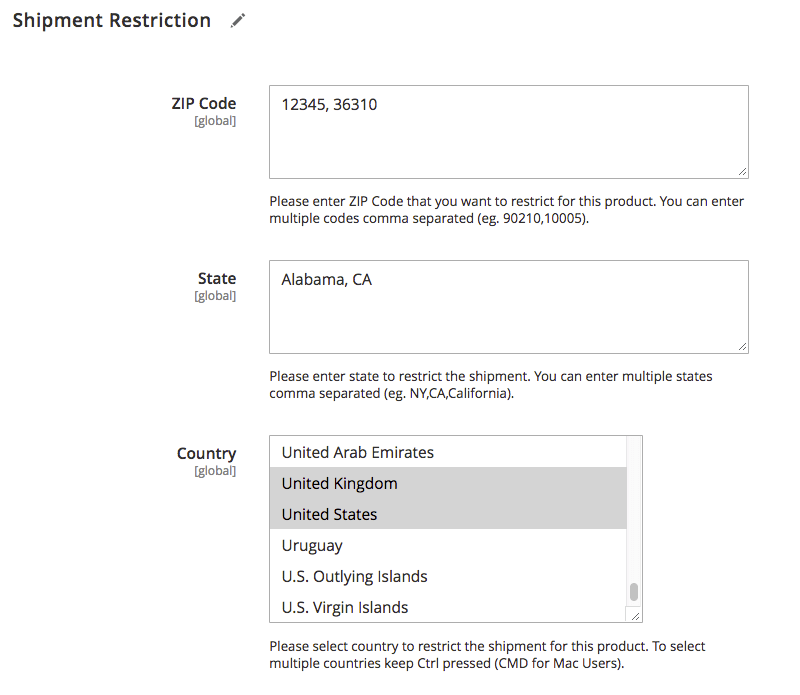 You can apply shipping restrictions to several products at the one time.